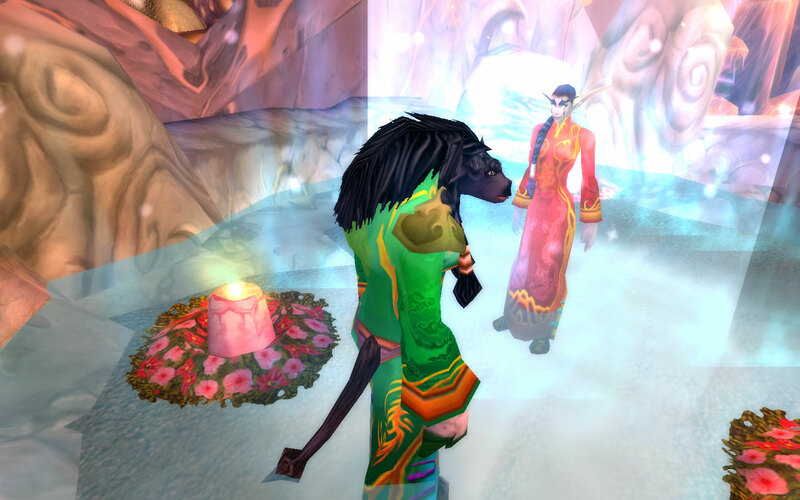 One of my most favourite World of Warcraft seasonal festivities is the Lunar Festival, which celebrates Chinese New Year with fireworks, cookies and beautiful costumes. I've always loved the special dresses you can get with the Elder coins, they are the most pretty in the game imho. In my old RP days, I had one of these outfits on each of my Feathermoon characters in a different colour (which was colour-coordinated with their other outfits!). At one point, I was logging them out in their RP gear so they looked nice at the starter screen. Aaaahhh, what you do when you are bored! I've figured I would get one title for each of my 'main' toons, rather than trying to get all seasonal titles on one toon for the special mount. My druid Uma just Had to be the Elder, right? 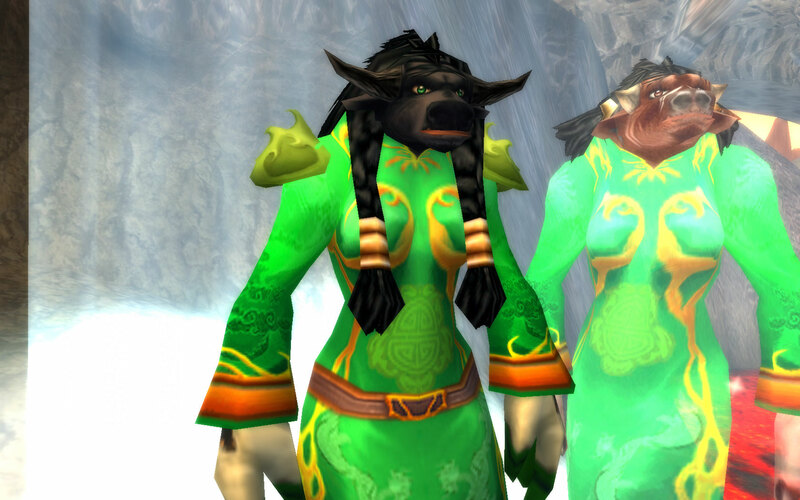 This is one of the few dresses that actually suits the tauren females! Also, I figured "Elder Uma" was a funny play on vowels which sounded right, much like how "Sigora the Explorer" suits my hunter. But I couldn't get the Elder title on Uma last year as she was only level 60 and you need level 77 to get to the Elder in Utgarde Pinnacle. I thought she had to be 80, so was aiming for that, but realised she didn't need to level all the way, so didn't. 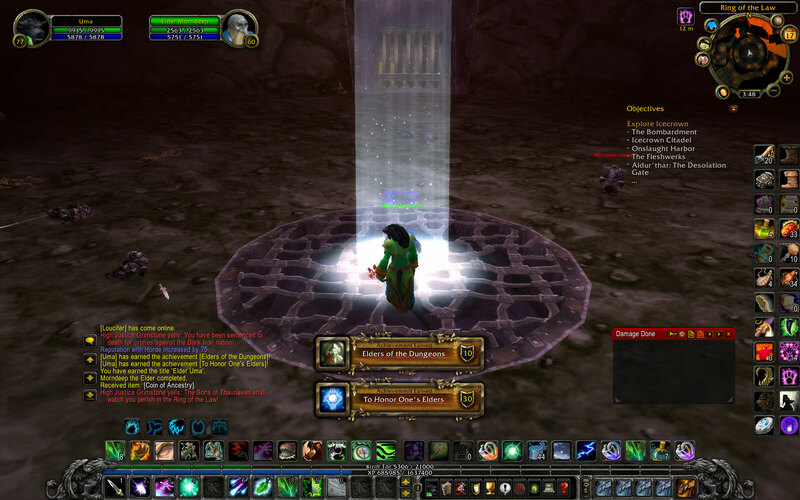 No point in levelling yet another toon if I don't actually feel like it. Uma is an interesting character, pretty quiet, supposedly stately and composed, so her personality seems well suited to the Elder title. But get her around Amberthorn and her impulses to /udderflash can be quite embarrassing! 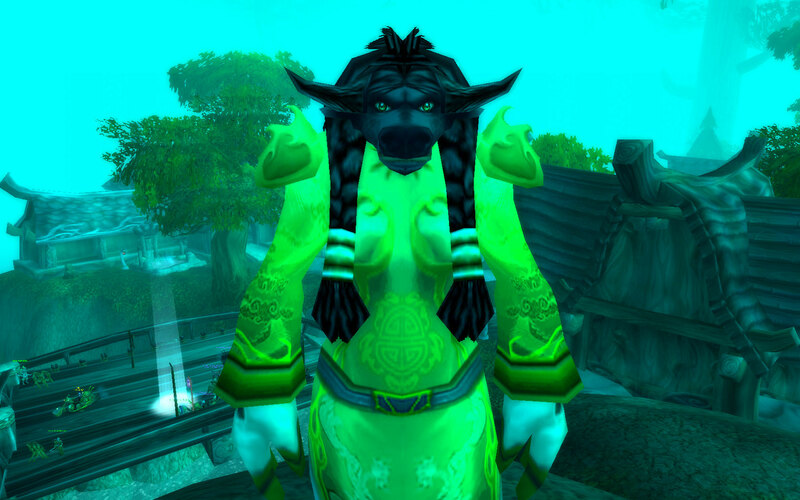 Now she is an "Elder", perhaps she will conduct herself with more decorum, even while in the company of handsome tauren males!! !